Sour cream and cream cheese are two dairy products that are very popular with bakers and chefs alike. They are quite similar in color, texture and origin, and many shoppers often confuse one for another. However, the two products have many differences, and the confusion between the two can lead to unexpected cooking results. Despite these differences, both products taste great when used properly. 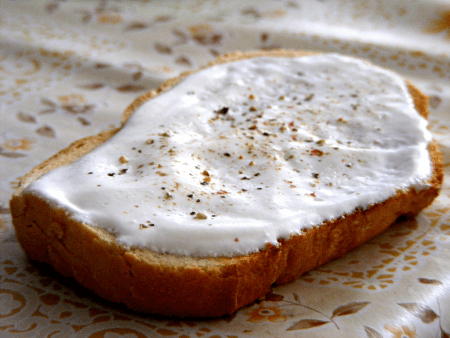 This article will discuss the difference between sour cream and cream cheese. Sour cream comes from cream, a milk by-product that rises to the top of pasteurized milk before it goes through homogenization. To make sour cream, the milk cream goes through fermentation by bacteria that produce lactic acid, giving it a distinctly sour taste. The lactic acid also thickens the cream. Many manufacturers add certain ingredients to enhance the taste and texture of sour cream, such as carrageenan or modified food starches. Most sour creams contain between 14-18% milk fat as well. Sour cream is a well-loved ingredient in European, American and Tex-Mex cuisines; recipes that use sour cream include baked potatoes, beef stroganoff, and tacos and nachos. It is also useful as a dip for snacks such as crackers and potato chips. Cream cheese starts out as a blend of milk and cream. Lactic acid is added to the mixture to start the thickening and fermentation process, giving cream cheese a mild, tangy taste. Once the mixture reaches a certain texture and thickness, low heat (126–145 °F) is applied to stop the fermentation. Manufacturers add other ingredients, such as guar or carob gums, to maintain the texture of the cheese and to extend its shelf life. Because of its cream content, cream cheese has a higher proportion of milk fat compared to other cheeses at 33%. It is popular as a spread on bread and pastries, and is the main ingredient in cheesecake. Aside from these uses, it could be used as a substitute for butter in dishes such as mashed potatoes and cakes. What are the differences between sour cream and cream cheese? Their main differences include the way both are produced, taste and texture, fat content and culinary uses. Sour cream comes from fermented milk cream. In contrast, cream cheese comes from a mixture of cream and milk which goes through a fermentation and heating process. Both products, however, use thickeners to maintain their texture and shelf life – sour cream uses carrageenan and food starches, while cream cheese uses guar or carob gums. Sour cream, as its name applies, is slightly sour in taste. It is also smooth and easily spreadable. 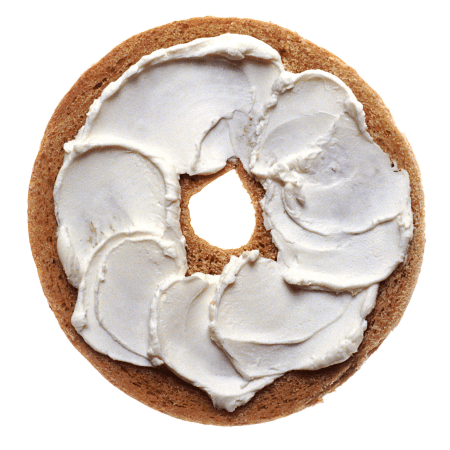 Meanwhile, cream cheese has a mild, tangy flavor with a very thick texture. Sour cream has 14-18% fat by weight. Cream cheese, on the other hand, has 33% fat content. Sour cream is a popular base for dips for crackers and chips, and is a popular ingredient in American, Tex-Mex and European cuisine. Cream cheese, for its part, is a popular spread for bread, is an ingredient for pastries such as cheesecakes and can be used as a substitute for butter.